Daranak Falls is the next recommended stop off after Calinawan Cave. Only about 5-6kms from Calinawan Cave, Daranak Falls is one of the most popular destinations in Tanay, Rizal province. 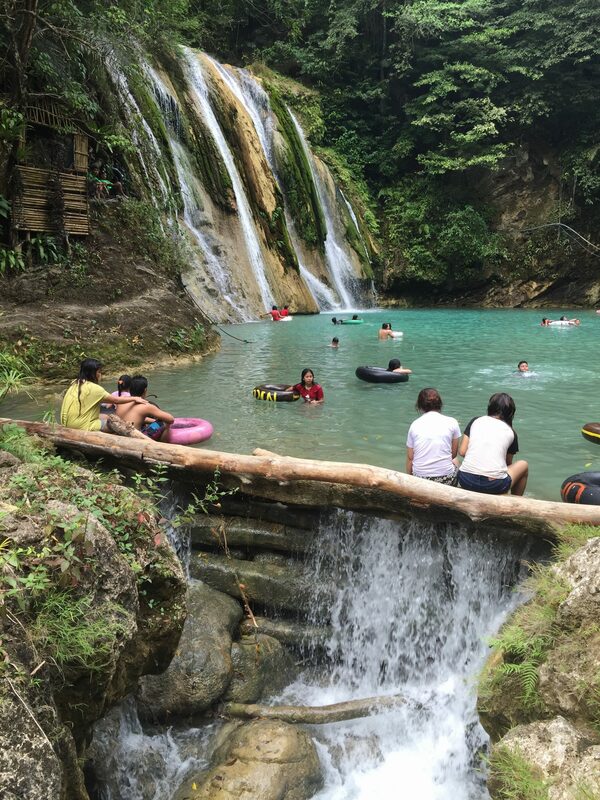 With its refreshing water coming from the Sierra Madre mountain range, it’s a very popular summer getaway for locals and can get very busy during this time. 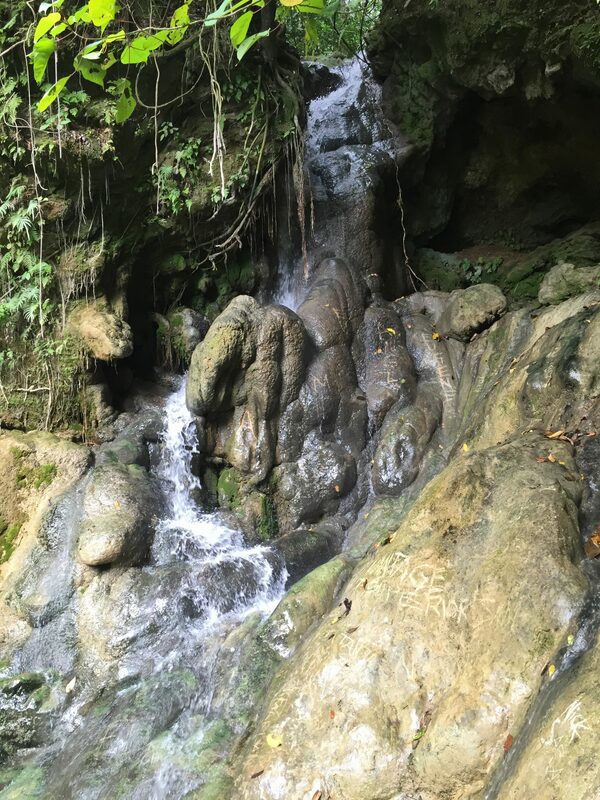 The falls and the immediate area have been well preserved with the natural vegetation complemented with enchanting waterfalls, ponds, and rivers cascading through tropical trees and plants. This 20-meter high waterfall and its surrounds are a truly beautiful and relaxing sight. The local government, who take responsibility for maintaining the cleanliness and orderliness of the park, protects the area. The facility has cottages, souvenir shops and restaurants serving local food. There is also ample parking which makes things a lot easier and saves time. Daranak Falls has a broad curtain of water and is about 20 metres high, with a lovely turquoise colour basin to which the water flows. The water from Daranak Falls flows further downstream across a few different levels. There are a few little pools of water along the way in which locals enjoy relaxing in. One of the smaller waterfalls that flows off to the side of the main falls. The surrounding vegetation is very fresh and lush and is so refreshing to look at. Daranak Falls is about 70 kms from Makati, which by car, is just over two hours. There are plenty of signs for Daranak Falls along the way, which is unusual for the Philippines. You could hire a car for the day from Makati for about P5,000. For those without a car, from Starmall in Mandaluyong, there is an FX/van Terminal on Shaw Boulevard. From there you can ride an FX/van bound for Tanay, Rizal for P70. The van stops at the Tanay Public Market and the travel time is about 1.5–2hrs. From Tanay Public Market, you can hire a tricycle going to Daranak Falls for about P100 one way. Go to Calinawan Cave first, and then go to Daranak Falls (and Batlag Falls), which is only about 5-6kms away. If you are feeling adventurous, you can easily walk it in about one hour as most of the roads are paved and in decent enough condition to walk. My suggestion is to also bring a picnic lunch and drinks. Alcohol is prohibited.